At long last we've regrouped after the long struggle to get the Castle Keepers Guide to market. The book is selling well and at this rate the 1st printing will be gone in the next few months. That is good news by any stretch. The Digest versions of all books have become something of a run away hit as well, and that has been a pleasant surprise. But what does the regrouping actually entail. It means we are visiting old and new projects that have been languishing for some time. To be brief what we are focusing on are the following: A8 Forsaken Mountain, A9Beneath the Helm of Nights, Halls of Adventure, the ICharacter Sheet forCastles & Crusades, Winter Runes, as well as Amazing Adventures, Engineering Castles, and Classic Monsters the Manual. But equally as exciting are the new Screens and the Book of Familiars for Castles & Crusades. We’ve added all these to the Anvil page on the main site, but for the Screen and Book of Familiars, these should be up later this week. But in the meantime, here is the foreword for the BoF, to at least bring you up to speed on what that project is and where we are going with it. 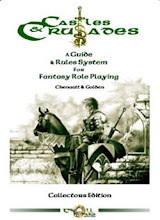 Mac Golden, co-creator of Castles & Crusades, and co-author of the Players Handbook originally envisioned The Book of Familiars as expansionary rules set for Dungeons & Dragons 3rd Edition. The final manuscript landed on my desk in 2003 or thereabouts, about the time Dungeons & Dragons 3.5 hit the street. Market conditions at the time forced us to send it back to the drawing board; we hired a whole new plethora of editors to bring it up to speed to the new game. This proved arduous, expensive, and time consuming. We released the final version in late 2004 about the time the d20 market collapsed in on itself. The sales were strong, but not enough to do it justice. Of course this all lined up with the release of Castles & Crusades. The fluctuations in the rules presented by D&D, and the languishing fate of the Book of Familiars, all played a role in pushing TLG into its own game system. In August 2004 we released the first versions of the game, which launched the game on its present course. The success of C&C marked the turning point for TLG and we soon abandoned creating d20 products, selling only those in stock. As stocks dwindled the Book of Familiars faded from our collective memory, languishing in the back rooms of a dying game. When WoTC announced 4th Edition we abandoned the D&D support material entirely and all our source material for D&D, including the BoF, faded into black. There it has sat for several years ago. 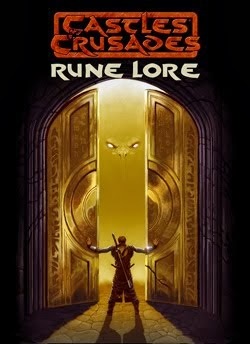 With the release of Pathfinder we gave thought to putting the book out in that system. Several attempts to do so left our in house editors plagued with too many projects and we shunted the book again and again. At first thought it did not seem a fit for C&C, despite the urging of our Art Director, Peter Bradley, who constantly pitched the idea to me. Christina Stiles, one of our editors added her voice to his; added to this a long talk with Aldo Ghiozzi and I was convinced. The BoF could and should be brought into the C&C family. I have taken on the conversion myself. I have always believed that the BoF is one of the most unique offerings to the gaming world, with a whole fresh perspective on a gaming archtype that no other title matched it. I still believe that. So with type-writer at my finger tips I step up the conversion of this, one of Mac Golden’s greatest conceptions and one of TLGs greatest books. 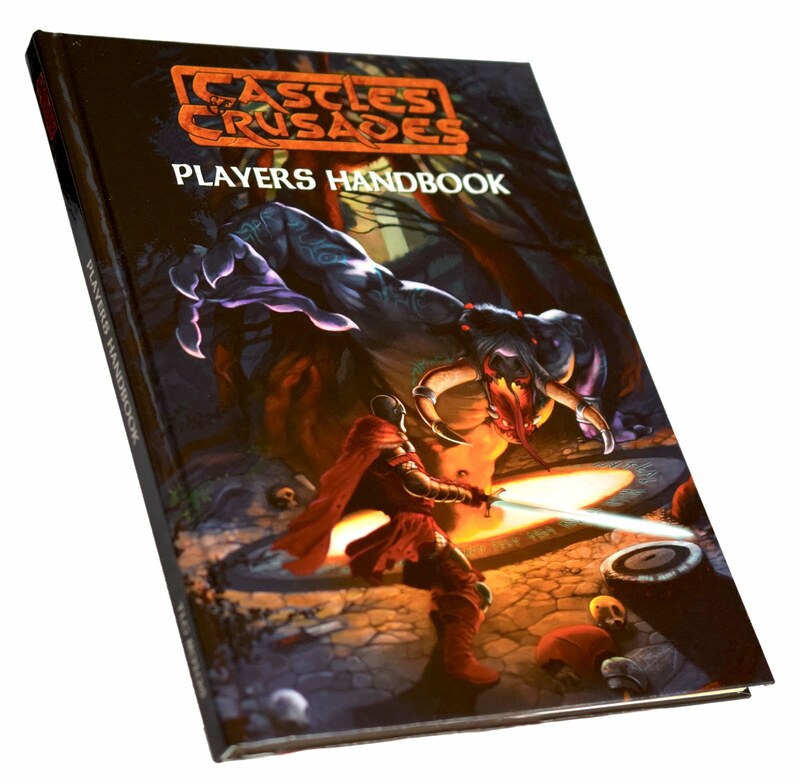 I am firmly convinced that this book will bring a host of new gaming material to the Castles & Crusades milieu, which is where, in fact, it has always belonged. Its Tuesday, if you've been following us on Facebook for the last 24 hours you have probably seen our creature from the Wretched Plains, unearthed whilst Davis and I were digging a hole. It looks to be some small beast that crawled from the deeps and got lodged in the twisted roots of the pine tree that we digger around. Though I'm told it might be a how skull or a bull dog, I'm not buying it. But beasts from other worlds aside, there's a whole passel of things going on around here that needs updating. Recently we released the Aihrde: Cradle of the World Maps in both digital format and on the store front. You can get teh Print/Digital Combo for a heavy discount on our store as well. This giant map is 55" wide and 36" tall. The digital copy comes that large, saved at industry standard 300dpi in PDF format. The print copy comes in 9 sheets, for quick use at the game table, printed on 110lbs gloss cover stock, with a nice UV coating on it. This coating will make the survivability of the product all the greater (though it will only coated on ONE side and do not fold UV coated material, it tends to crack on the fold). This product is available now so pick yours up, we strongly suggest the combo as it comes with a nice discount. Of course don't miss out on Dark Journey, recently released. This adventure module will blow your socks off! 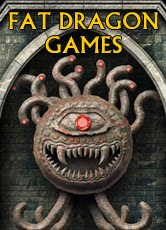 While your over at RPGnow or Drivethru shopping take note that we have just launched a 30% off Sale on everything in the store (aside from the recently released Maps, Dark Journey and CKG). 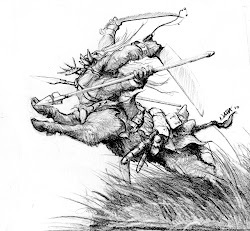 Tim was running many sale and we kind of dropped the sword he left in our hands, so we'll make the whole up by just dropping the price on everything for the next 7 days...at least as long as the creature from the Wretched Plains calls upon me to quit! So head on over and pick up those long sought after titles. In other news be sure to check out The Geek Life Project. Chuck is running a week's worth of discussion on Castles & Crusades over there! Work has at last begun on Crusader 25; look for it in the near future! And lastly, if you have not already done so, be sure to join the C&C Society. Its free and is a great resource for all things C&C!